Simple rooms and studios with a kitchenette and balconies, which can host up to 5 persons. There is an adults and a childrens’ swimming pool and also a pool bar. The hotel is located in Perissa, not far from the beach. 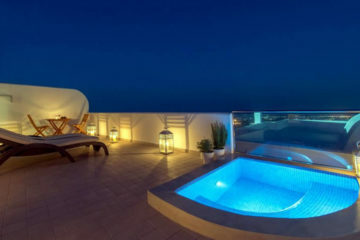 Specify the dates of your visit to Santorini to check availability and prices of The Best.